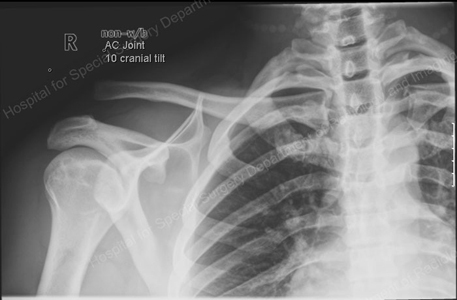 So last Wednesday I received what the doctor told me was a mild acromioclavicular joint separation injury, or commonly known more by its street name as “Shoulder Separation“‘. AC joint separation injuries are rated from 1-6. Luckily mine was only a 1. Luckily when I made an appointment at Penn State’s student medical center they had a doctor who specialized in sports injuries and had handled dancers before. The bad news was I had to keep my left arm in a sling for 1-3 weeks to rest my shoulder. The good news is as long as I kept it in moderation and carefully monitored my shoulder I could still dance! After coming to the realization that I would dancing one armed for 1-3 weeks, I couldn’t help but think of Jimmy Valentine. If you don’t know his story, Peter Loggins writes a great article about him on his blog the Jassdancer. Jimmy was an amazing one-legged swing dancer who threw down in competitions like the Harvest Moon Ball and in jam circles, a legendary dancer in spite of his injury. So feeling inspired the last week I have been dancing only using my right arm as a lead. Only having my right hand means all my swingouts have to either start from closed, cross-hand, or right hand to right hand. All visual cues that I could possibly give my left hand were now non-existent. I have had to rely on the free-spin version of many turns such as the tuck-turn or inside-turn. One of the big things I have learned from being only lead swingouts right handed is many follows often use the letting go of the left hand as a signal for a free spin on a swingout. In result I have been leading a lot of forward swingouts. When not the forward swingouts, I have been having to lead crystal clear swingouts to not be misinterpreted. What is also interesting to see is how follows handle the left hand not being there, sometimes when I am going for her left hand my follow will present the right hand or vice versa. Lastly I have been dealing with the struggle of tensing up because I still mentally out of habit am trying to use the left hand for things before I stop myself. It’s been a good learning experience. For myself I have learned what moves I know for my cross-hand and right-to-right hand repertoire. I’ve learned for teaching and for social dance what visual/physical cues some follows rely on from the left hand for certain moves. Lastly its a limitation that forces me to be creative with my dancing, I have noticed I have been focusing more on footwork lately since the number of moves I can lead consistently have been cut down. In about a week or two I can start using my left arm again to dance, but for now I am enjoying the unintended benefits I am getting from the situation. This entry was posted on May 28, 2011 by Apache. It was filed under Dance, Personal . Dave Frutos had shoulder surgery recently and has been dancing one-armed like you – I danced with him a couple weeks ago, and it was easily my most fun dance of the night. We didn’t do anything tricky, but his (always solid) lead was extra clear, and it forced some interesting combos that most people wouldn’t put together. Of course, the highlight was when Kim & Dave went out in the jam and he threw her in a one-armed Kay flip. Just too cool. Best wishes for your speedy recovery! Ah thank Google for helping me stumble upon this. Wrist surgery has meant I can’t use my right hand to dance for the next three months. I’m a follow, it hurts my soul. Thankfully, I can still teach if we get follows in the class to demonstrate. Thankfully, there are awesome leads in my scene who have taken on the challenge to dance with me. In three months, maybe I’ll be a better listener as a follow because the cues aren’t there and the leading is different. No problem, glad to hear I helped!